Today I have a Birthday Bash Crop challenge up at Turtle Soup. Charlene gave me this cute photo strip from a party they had gone to that had a photo booth set up (how fun!). She wanted to know if I could use it for Vincent's scrapbook album ... why yes I can. 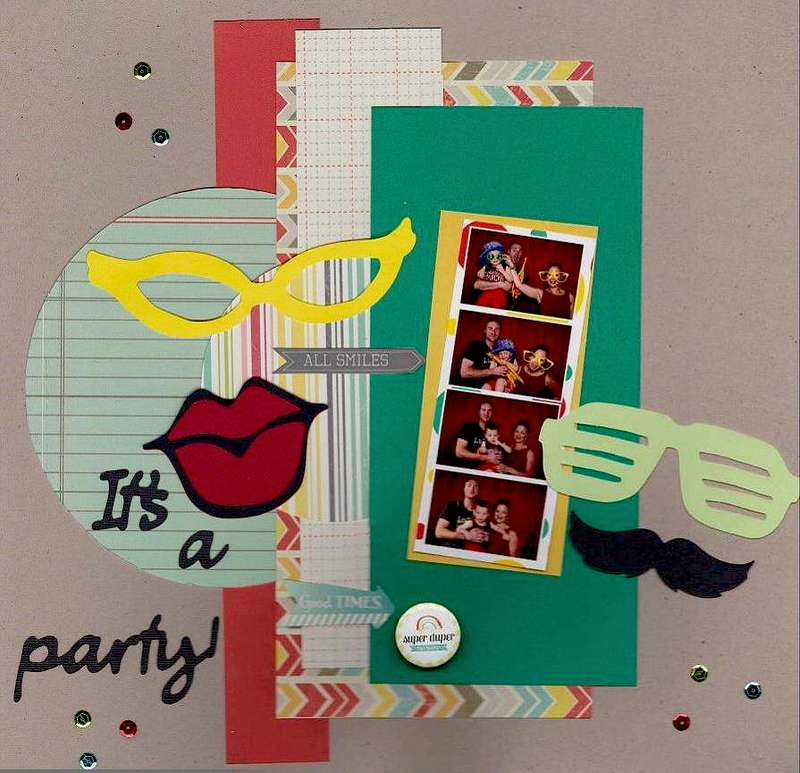 Especially since I have the Cricut Photo Booth Props cartridge. Check out the details for the challenge in the Turtle Soup forum. Hope you can join the party!